I sat out on the patio three nights straight last week, for 30 to 45 minutes each nigth. Waiting for the perfect Hummingbird Male in a flower. I took several females flying around but not even one flower photo. I kept thinking I would get a better one before the end of the week. Then I got under the weather, and forgot to post. I came close to just letting the 52 week project die, but I made a public commitment. Please forgive this one being published late even though it was shot on 6/14/17 @ 7:00 PM. 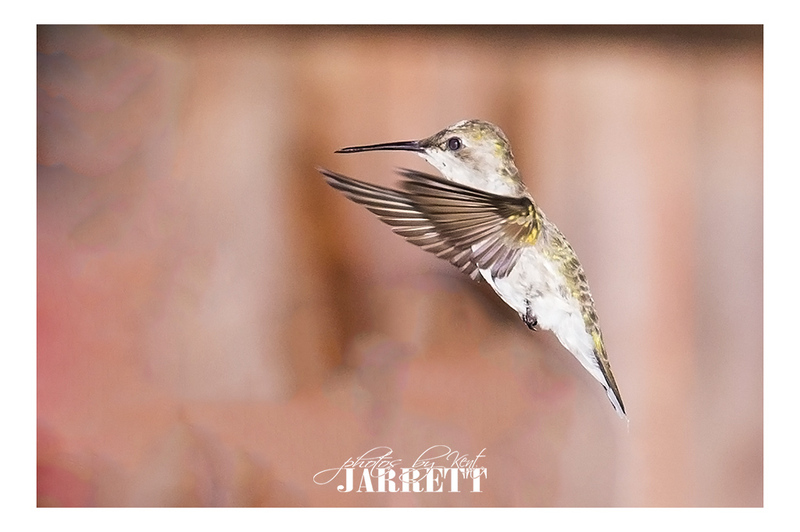 This entry was posted in 52 Week Project 2017 and tagged 2017 52 Week Project, hummingbird by Kent Jarrett. Bookmark the permalink.